Version 4.5.3 will go online on Monday 1st September. 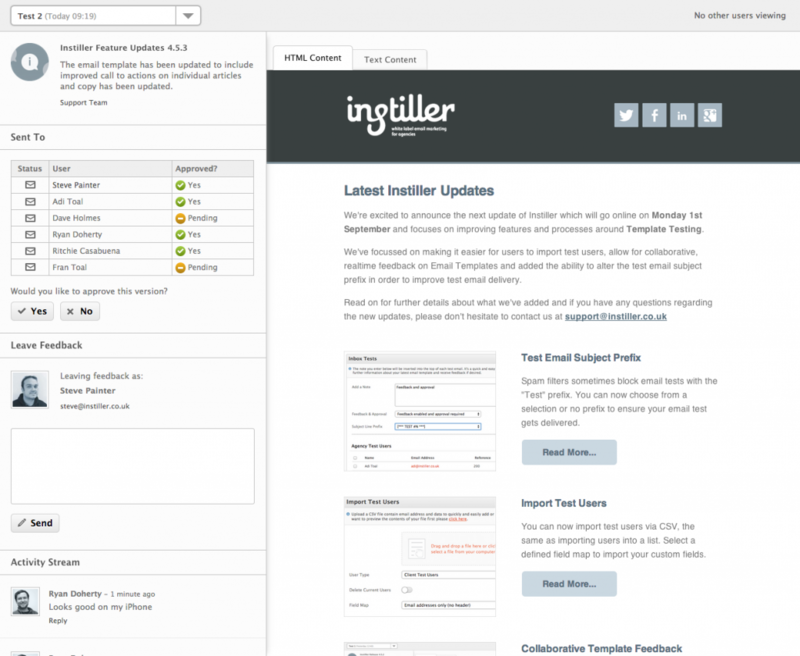 For this latest release we’ve been concentrating on improving Template Testing and adding features around this area of Instiller; including a collaborative, real-time template feedback and approval screen, the ability to batch import test users from the Testing page and test email subject prefix settings. We’ve made some changes and improvements to the Test Users Panel to help speed up the selection and import of test users. Agency and Client Test users can now be imported directly on the Testing page. Once a test has been sent, we’ve improved how the test delivery information is displayed and if template feedback and/or approval has been requested the results are shown here. 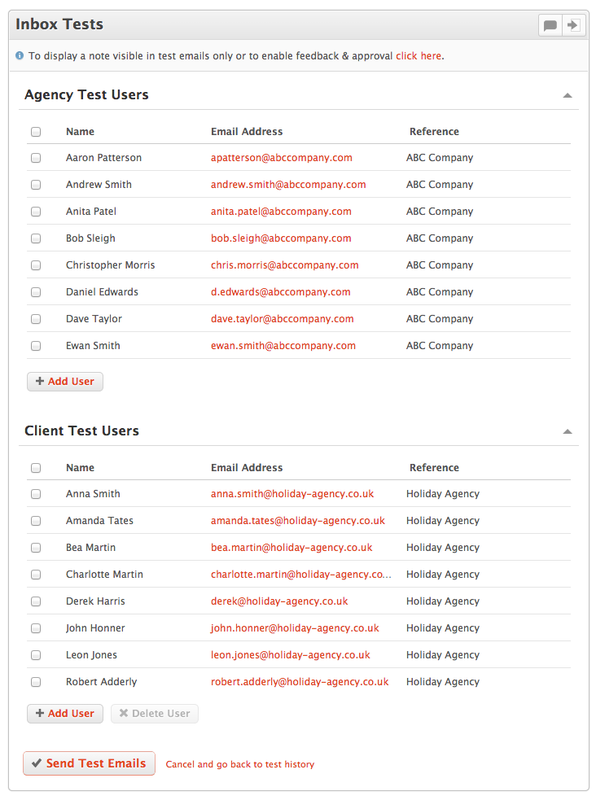 Additionally, the status of the test email is shown and you’re able to identify when a test has been opened, clicked, bounced, delivered or is queued for delivery. A large part of the new release is the addition of the new Template Feedback and Approval feature, which allows your test users to feedback on email templates and their collaborative comments and approval notices will show up in real time. It’s also designed to work on desktop and mobile, so feedback can be left when on the move. We feel this feature will really help our agencies speed up the email approval process with their clients and avoid a trail of emailed amendments from multiple stakeholders. 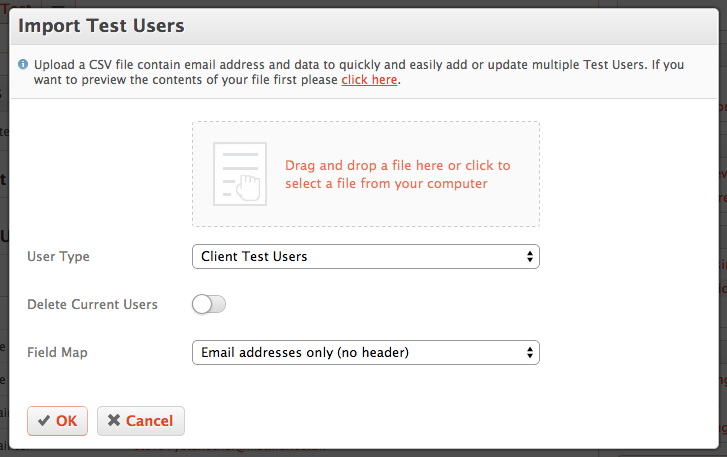 The Feedback & Approval feature can be enabled when selecting test users by clicking the feedback options button in the Inbox Tests panel heading. 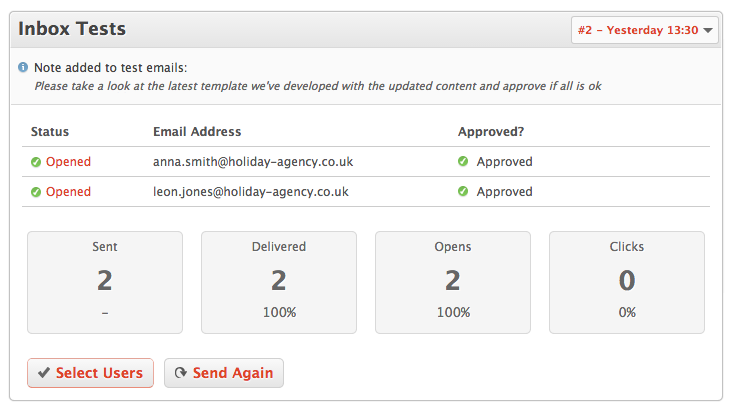 When enabled, a notice bar and call to action is pre-pended to the email, displaying the test notes and a call to action to leave Feedback and/or Approval. Test users can see each other’s comments, add comments, reply to existing comments and also see the test email content simultaneously. We’re sure this feature will make template feedback and testing far easier to manage. With the reworked updated Test Users panel, you can now batch import users directly from the Testing tab using the ‘Import test users from a file’ button in the panel header. This will speed up the process of sending tests to new batches of clients, apply field maps to new test user data and allows you to simply drag and drop a CSV of your test users. Finally, a very useful update to the options for the test email subject prefix has been incorporated. Where “#N” is the test number. This should help alleviate situations where email clients flag test emails as spam and give a more realistic mailbox placement.